The purpose of this study was to establish influence of corporate leadership on implementation of strategic plans within the county governments of Kenya. The study was based on the sequential thinking, adaptive and holistic theories. It employed descriptive survey research design which targeted 10 county governments, six in former Nyanza province and four in former Western Province. Proportional stratified random sampling technique was used in 10 counties where 240 study subjects was selected by simple random sampling. Further, the study incorporated merits of secondary data and then collect data using semi-structured questionnaires and interview for top managers. To test reliability and validity of the study, the pre-test item analysis was conducted at two different points in the study. The inter-item consistency or lack of it was tested using Cronbach’s alpha. The quantitative data was then analyzed using descriptive statistics in form of mean, frequencies and standard deviation with the help of ANOVA, Regression and Correlation while qualitative data was analyzed using content analysis. Data was presented in tables, charts and graphs. The results showed that corporate leadership style was a good predictors of implementation of strategic plans. The study rejected the null hypothesis and adopted the alternative hypothesis that corporate leadership style is statistically and significant related to implementation of strategic plans in county governments of Western Kenya. The study concluded on the alignment of leadership to the strategic objectives is critical in successful implementation of strategic plans. Strategic direction and stewardship needs to be guided an organization’s strategic-change champion through strategic management processes and shared values of the organization. Strategic direction and stewardship needs to be guided an organization’s strategic-change champion through strategic management processes and shared values of the organization. These management need to carry out a culture assessments that will reveal what strategic culture characteristics exist and they can promote the strengths they find to motivate personnel and identify possibilities for immediate successes in their cultural reshaping endeavors. The study recommended for the management of the county governments that are interested in changing the way the organization focus on the value-based forces underlying the organization’s behaviors. The study also recommends that organizational structure of the county governments should be aligned to the strategy being implemented. Keywords: Corporate Leadership, Strategic Plans, County Governments & Kenya. Bechtell, P. and Michele L (2015) The Management Compass: Steering the Corporation Using Hoshin Plannin New York: AMACOM. Bourgeois, L. J. & Brodwin, D. R. (2014): Strategic Implementation: Five Approaches to an Elusive Phenomenon. Strategic Management Journal 5 (3) 241- 264. Brand, C., Heyl, G. and Maritz, D. (2016). Leadership”. In Meyer, M. and Botha, E. eds). Organisational Development and Transformation in South Africa. Durban: Butterworths. Breevaart, K., Bakker, A., Hetland, J., Demerouti, E., Olsen, O. K., & Espevik, R. (2014). Daily transactional and transformational leadership and daily employee engagement. 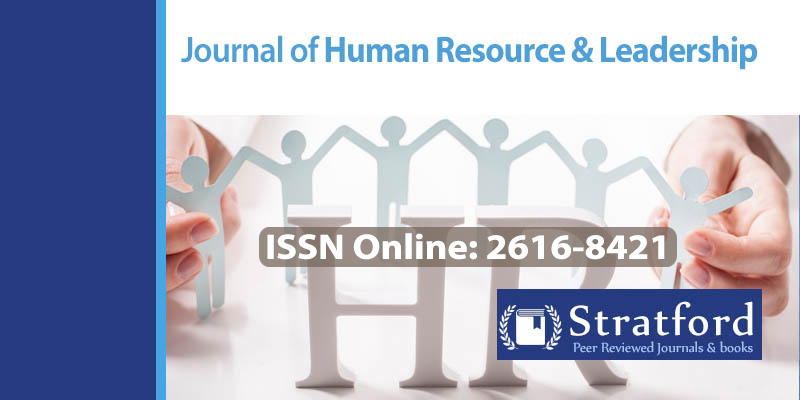 Journal of occupational and organizational psychology, 87(1), 138-157. Bycio P, Hacket, R.D, and Allen J.S, (2012) Further assessment ad Conceptualization of Traits of Leadership, Journal of Applied Psychology, Vol 80. NO 4, pp 468-78. Chandler, H. (2012). Firm Resources and Sustained Competitive Advantage, Journal of Management, 17, pp. 99-120. Chang, J. F. (2016). Business process management systems: strategy and implementation. Auerbach Publications. Elbanna, S., Andrews, R., & Pollanen, R. (2016). Strategic planning and implementation success in public service organizations: Evidence from Canada. Public Management Review, 18(7), 1017-1042. Feldman, S. (Ed.). (2013). Cognitive consistency: Motivational antecedents and behavioral consequents. Academic Press. Gawronski, B. (2012). Back to the future of dissonance theory: Cognitive consistency as a core motive. Social Cognition, 30(6), 652-668. Ghasabeh, M. S., Soosay, C., & Reaiche, C. (2015). The emerging role of transformational leadership. The Journal of Developing Areas, 49(6), 459-467. Goffin, K., & Mitchell, R. (2016). Innovation management: effective strategy and implementation. Macmillan International Higher Education. Gupta, A.K. (2007). SBU Strategies, Corporate-SBU Relations, and SBU Effectiveness in Strategy Implementation. Academy of Management Journal, 30, 477-500. Heide, M., Gronhaug, K., & Johannessen, S. (2002). Exploring Barriers to The Successful Implementation of a Formulated strategy. Scandinavian Journal of Management, 18(2), 217-231. 44. Hrebiniak, L.G. (2016). Obstacles to Effective Strategy Implementation. Organizational Dynamics, 35, 12-31. Iqbal, N., Anwar, S., & Haider, N. (2015). Effect of leadership style on employee performance. Arabian Journal of Business and Management Review, 5(5), 1-6. Isaboke, C. M. (2015). Influence of organization culture on strategy implementation in selected universities in Kenya. International Journal of Economics, Commerce and Management, 3(9), 806-820. Jooste, C., & Fourie, B. (2016). The role of strategic leadership in effective strategy implementation: Perceptions of South African strategic leaders. Southern African Business Review, 13(3). Kagumu, J. G. (2018). Determinants of Implementation of Strategic Plans by County Governments in Kenya (Doctoral dissertation, JKUAT-COHRED). Kaplan, R.S., and D.P. Norton (1996). The Balanced Scorecard: Translating Strategy Into Action. Boston: The Harvard Business School Press. Kast, F. E., & Rosenzweig, J. E. (2012). General systems theory: Applications for organization and management. Academy of management journal, 15(4), 447-465. Kibicho, P. M. (2015). Determinants of Strategy Implementation Success in the Insurance Industry: A Survey of Insurance Companies in Kenya. International Journal of Business and Social Science, 6(4), 74-91. Kothari, C. R. (2009). Research methodology :new age international 2nd edition. london: longman publishers. Mbaka, R. M., & Mugambi, F. (2014). Factors affecting successful strategy implementation in the Water Sector in Kenya. IOSR Journal of Business and Management, 16(7), 61-68. McCleskey, J. A. (2014). Situational, transformational, and transactional leadership and leadership development. Journal of Business Studies Quarterly, 5(4), 117. Schaap, J.I. (2016). „Toward Strategy Implementation Success: An Empirical Study of the Role of Senior-Level Leaders in the Nevada Gaming Industry. UNLV Gaming Research & Review Journal, 10, 13-37. Sila, H. M., & Gichinga, L. (2016). Role of Strategic Leadership on Strategy Implementation in Public Universities in Kenya-A Case Study of JKUAT Main Campus. International Journal of innovative research and development, 5(6). Skogstad, A., Aasland, M. S., Nielsen, M. B., Hetland, J., Matthiesen, S. B., & Einarsen, S. (2015). The relative effects of constructive, laissez-faire, and tyrannical leadership on subordinate job satisfaction. Zeitschrift für Psychologie. Strøm, L. C. L., Willumsen, P. L., Oehmen, J., & Heck, J. (2018). Can design thinking mitigate critical strategy implementation risks?. In Ds92: Proceedings of the Design 2018 15th International Design Conference (pp. 1233-1244). Uhlenbruck, K. (2014). “Developing acquired foreign subsidiaries: The experience of MNEs in transition economies”. Journal of International Business Studies. Westphal, J. D., & Zajac, E. J. (2013). A behavioral theory of corporate governance: Explicating the mechanisms of socially situated and socially constituted agency. The Academy of Management Annals, 7(1), 607-661. White, R.E. (2006). Generic Business Strategies, Organizational Context and Performance: An Empirical Investigation. Strategic Management Journal. 7, 217-231. Wong, S. I., & Giessner, S. R. (2018). The thin line between empowering and laissez-faire leadership: An expectancy-match perspective. Journal of Management, 44(2), 757-783. Wright, M., Filatotchev, I., Hoskisson, R.E. & Peng M.W (2015). “Strategic Research in Emerging Economies: Challenging the Conventional Wisdom”. Journal of Management Studies, 42, (1), 1-33.